You probably know you can mirror all app notifications of your phone to the computer with the help of AirDroid. Then, how about replying to the notifications directly? AirDroid v3.1.2 makes it possible to reply to WhatsApp and Facebook Messenger messages from AirDroid Win/Mac client! How to Reply WhatsApp and Facebook Messenger messages? 2. Click Reply when you get a pop up of WhatsApp/Facebook Messenger message, enter your words and click Send. In this version, the connection stability of AirMirror has been significantly improved. And anyone experiencing bad resolution of AirMirror should get a much more clear screen. 1. Improved the connection stability of AirMirror. 2. Improved the smoothness and image quality of AirMirror. hey you guys do a great job! Now I can do without my phone! But one thing I request you to add more richnes into the feature of AirMirror so that My phone Samsung GT-S7392 supports AirMirror.... and then I can reply whatsapp and Viber Skype etc message....& call ???? Please??? We're going to make some improvements on AirMirror's support for Samsung devices. If you're using a rooted Android running 4.0+, you can update and try again then. Yueka from Yu brand supports airmirror or not ? Also what means by reply from Windows and Mac ? 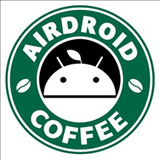 Is it web.airroid.com or Airdroid Windos or MAC application you mean to say. A guide on how to reply to WhatsApp/FB Messenger messages with AirDroid Win/Mac: http://forums.airdroid.com.com/viewtopic.php?t=15692 Hope it helps. AirDroid Win/Mac is the desktop client for Windows and Mac. [Help & FAQ] How to install AirDroid Windows/Mac? Now have a higher version for it So, Just go to the Play store and Update it.!! !